To date, Brutai have only one EP, the self-titled “Brutai” released last year. Since forming in 2008, however, the band has caught the attention and won hearty approval from the cognoscenti in melodic, modern and djent progressive metal… and most deservedly so, in my Mammalian opinion. This coming weekend Brutai will be playing on the main stage at Euroblast in Cologne. They’ll be playing to the die-hard fans of big names including TesseracT, Sikth and Animals As Leaders. Based on their previous live performances and the audience reception, they’ll add to the acclaim they’ve already won. Brutai have timed the released of a lyric video to coincide with Euroblast. “Relapse” will be on their forthcoming album. This song is tasty enough to make me want that album. 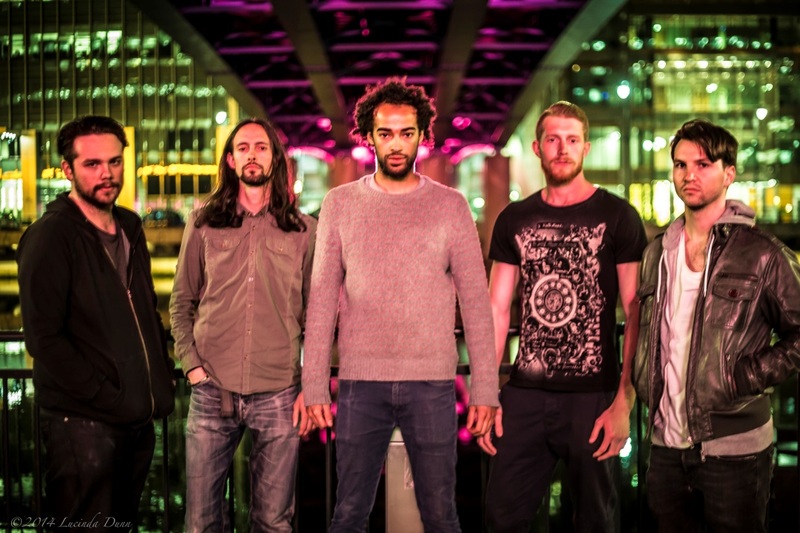 The current line-up is Felix Lawrie on vocals and guitars, Henry Ryan on guitars, Michael Crouchman on bass, and new members Alex Lorimer (keys and backing vocals) and Mathieu Bauer (drums). You can follow the band on Facebook. “Relapse” is available as a free download at Freelease and Bandcamp. You can also get the “Brutai” EP from Bandcamp. The gigantic and lasting influence of Black Sabbath continues to ripple through the metal ocean more than four decades after Sabbath pretty much invented doom metal. For anyone who loves the old doom, as I do, it’s hugely gratifying that good new bands adopt and adapt that style of metal and integrate it into 21st century metal. Desolate Pathway, from London in some place called England, is a new band. Their debut album, “Valley of the King”, is set for release in October. The band members themselves aren’t exactly brand-new, though. They include seasoned musicians who’ve been active since the Universe shook to the New Wave of British Heavy Metal and the continually evolving doom metal of the 1980s. 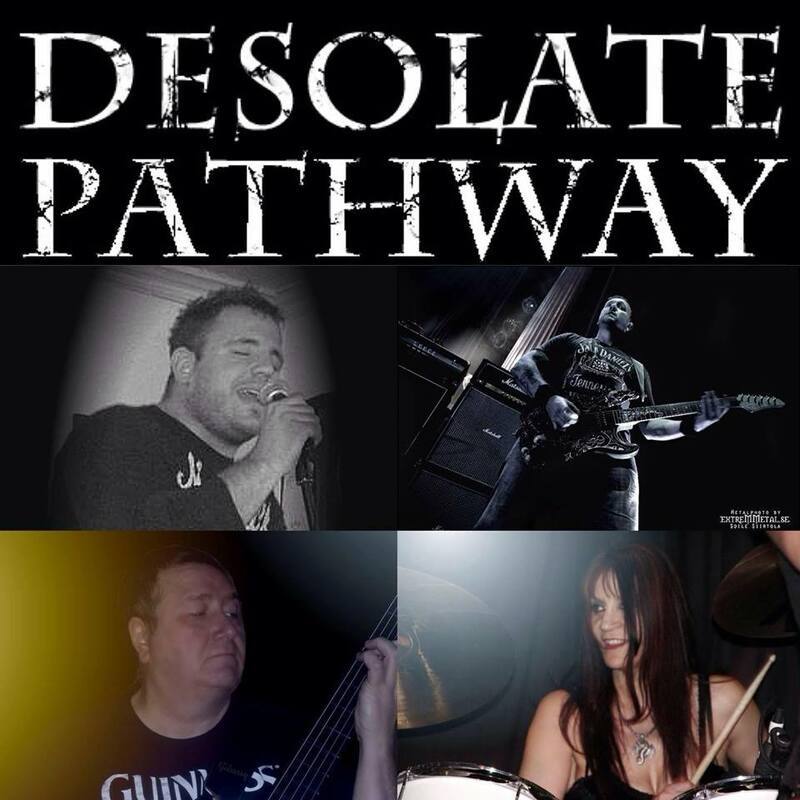 Desolate Pathway’s lineup consists of Simon Stanton (vocals), Vince Hempstead (guitars), Jim Rumsey (bass) and Mags (drums). Here’s a taste of what they’ll be delivering on “Valley of the King”. Meet the band on their Facebook page. The Transatlanic trio of Die So Fluid have released this song on video to promote their forthcoming album, planned for release in the US later this year. Die So Fluid is made up of Grog on vocals and bass, Mr Drew on guitars and Al Fletcher on drums. They operate from cities on two continents, namely, Los Angeles and London. They’ve been together since 2001 and they’re building up a good, slick discography. If their previous work is an indicator, then the new album will be very easy on the eardrums. Grog describes their music as “the muscle of metal, the angular cheekbones of post-punk and the bittersweet love of grunge.” To me it all adds up to extremely melodic Gothic-based rock/metal, and a joy to hear. Here’s a fresh single and video from Sweden’s heavy/thrash metal band Denied, taken from their upcoming fourth studio album “Three Degrees Of Evil”. Catchy riffs, high speed and headbang-friendly choruses. What’s there not to like? Be sure to check it out!